Going into the second Monday of Wimbledon, the home crowd will be getting very excited at the prospect of witnessing a second Andy Murray Wimbledon win after Novak Djokovic was shocked on Saturday by Sam Querrey. Murray has had a fairly easy time of things in week one, winning nine consecutive sets against fairly ordinary opposition in Liam Broady, Yen-Hsun Lu and John Millman to make it eight consecutive wins on the grass. He lost more than four games in a set just once, the second against Millman. Murray did need just over two hours to defeat the Australian but was in control throughout, breaking his opponent’s serve six times to make it 17 for the event, the third most in the tournament so far. Meanwhile his opponent Nick Kyrgios has had a tougher time against three very accomplished grass court players in Radek Stepanek, Dustin Brown and Feliciano Lopez. He needed four sets to beat Stepanek and Lopez while he came from two sets to one down to beat Brown. It hasn’t proved a major concern yet as he has made it to the fourth round but Kyrgios is 0-3 in tiebreaks at the tournament so far, losing one to each of his opponents. 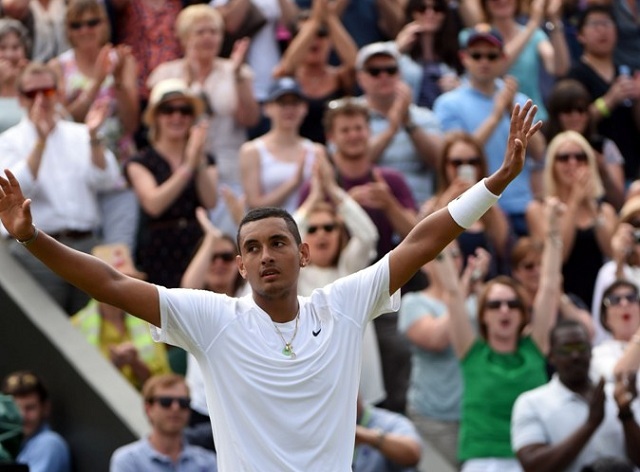 Given Kyrgios’ serve, it is a surprise that as far he has been found wanting in them so far. Kyrgios has been cultivating a bad boy image in the game but Murray believes that some of the attention is somewhat unwarranted. “When he makes a mistake, yeah, it’s fine. I don’t have a problem reporting on him making a mistake or doing something wrong. It happens a lot where it doesn’t seem like he’s really done much in comparison to what other players are doing, and he’s the one that gets asked all the questions about it.” said Murray when asked if he felt that Kyrgios was being targeted. 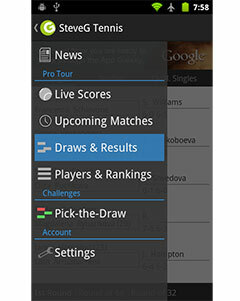 While the Australian is seen as someone that can shake things up at the top, he has found it tough so far when taking on Murray – going 0-4 in their matches including three at grand slams last year. Murray will hope to complete the set of wins and move ever closer to his third slam title here.